Only a weekend in Bangkok may be sadly short but it doesn't mean, happiness is difficult to find. Even the consequence of being a modern-day slave with far too limited vacation leaves, can become a trivial thing. Instead of sulking on such fact, I believe that there is yet a silver lining in everything forlorn. For making most out of the things at hand, can get us from today's worries to tomorrow's hopes. Oh the melodrama that has gotten into me after sorting out my Bangkok photos! (Gutom lang 'to! 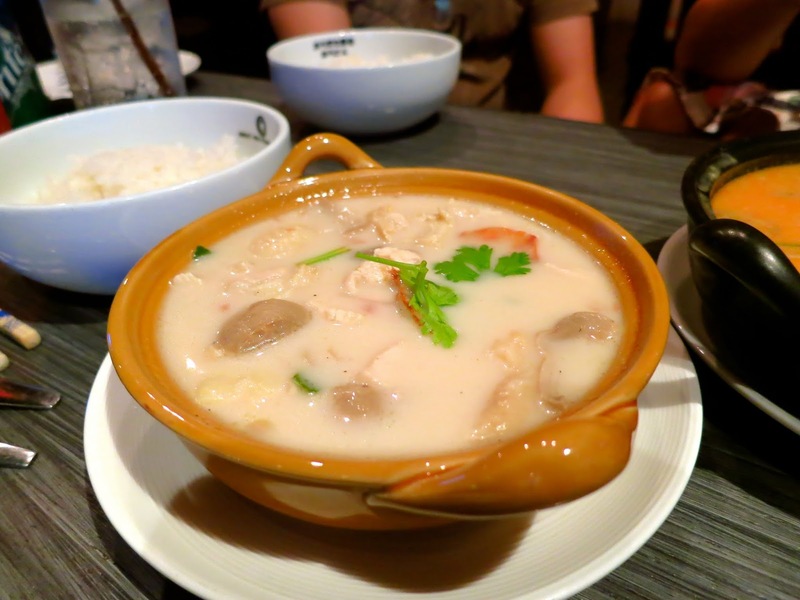 haha) To break away from this anticlimactic spell, here are my photos as evidence of my resolve of fulfilling my appetite in Bangkok. 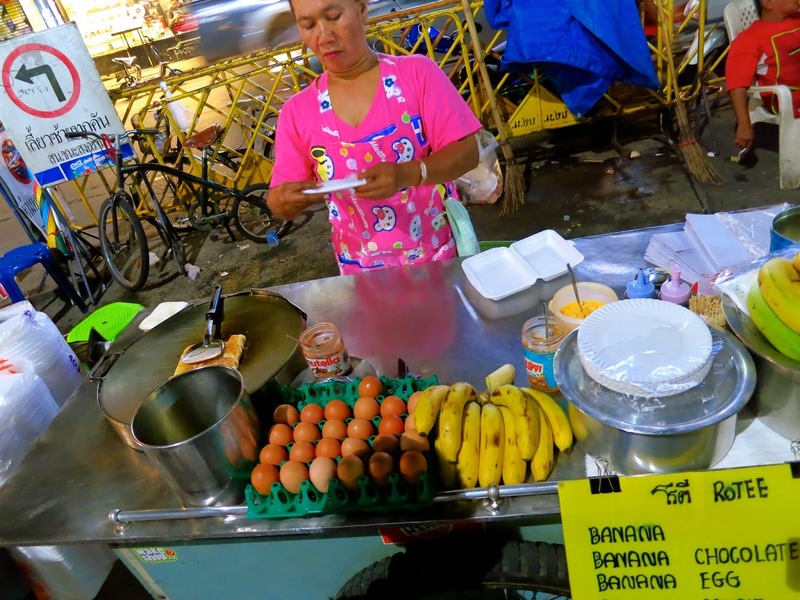 When Kate, my friend based in Bangkok, asked me on what I wanted to do, the only thing that I could think of was food. Can you blame me? 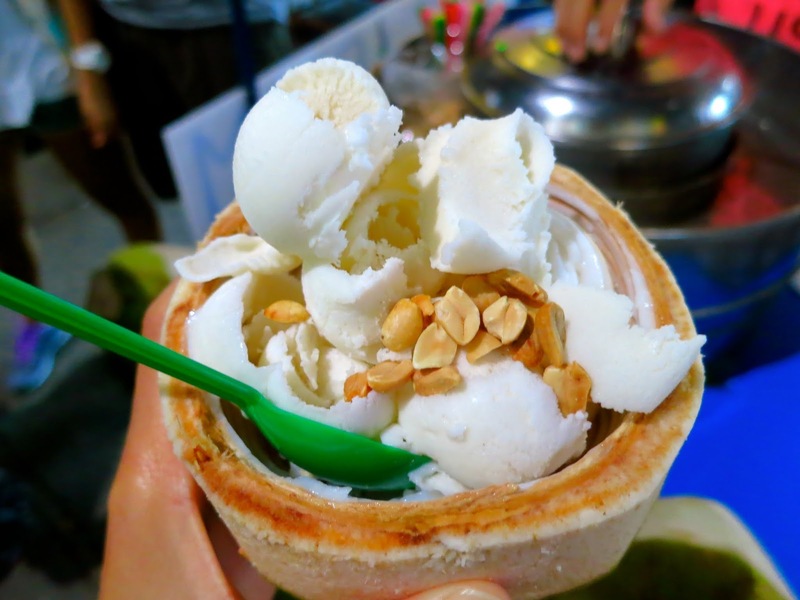 This coconut ice cream in Khao San Road. 'Coz it's about time, we start with desserts! My first time to see an actual pomegranate! What can you make of this?! Spices galore for the green mangoes! 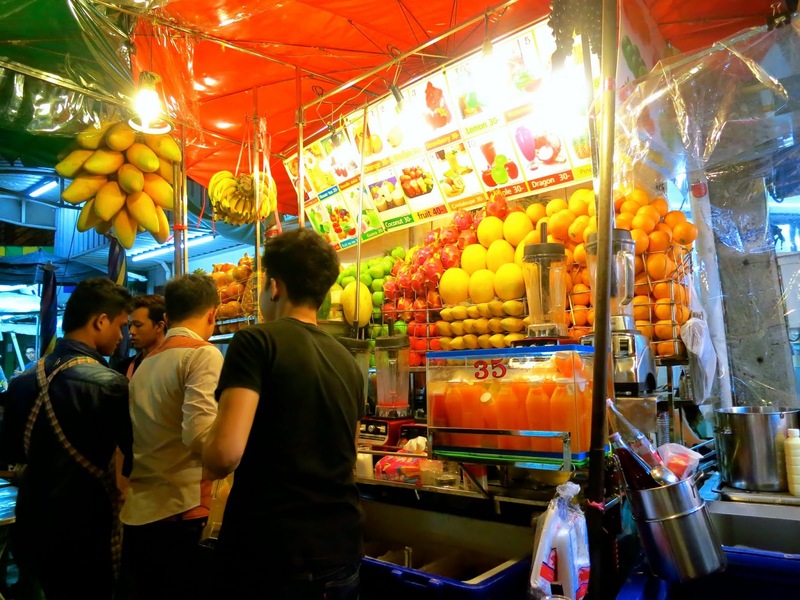 Tropical fruit stand/heaven along Khao San Road. 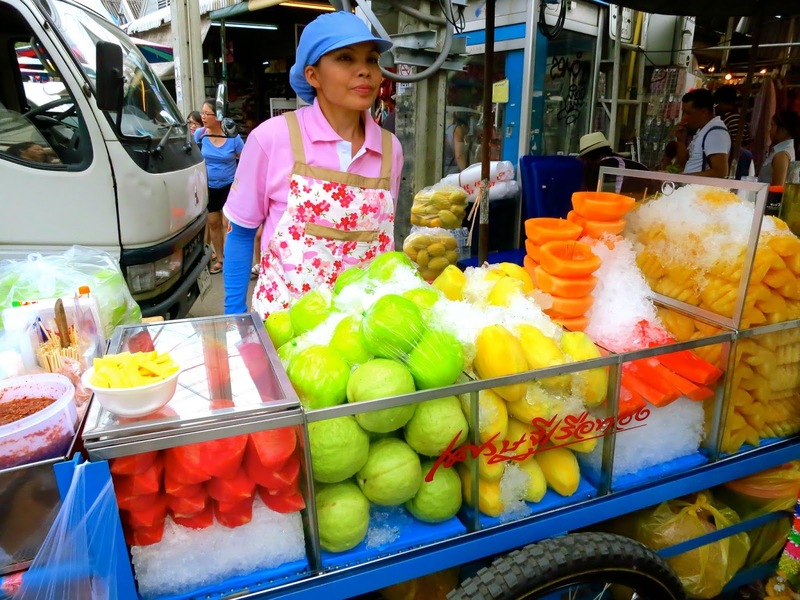 Tropical fruit cart in Chatuchak Market. 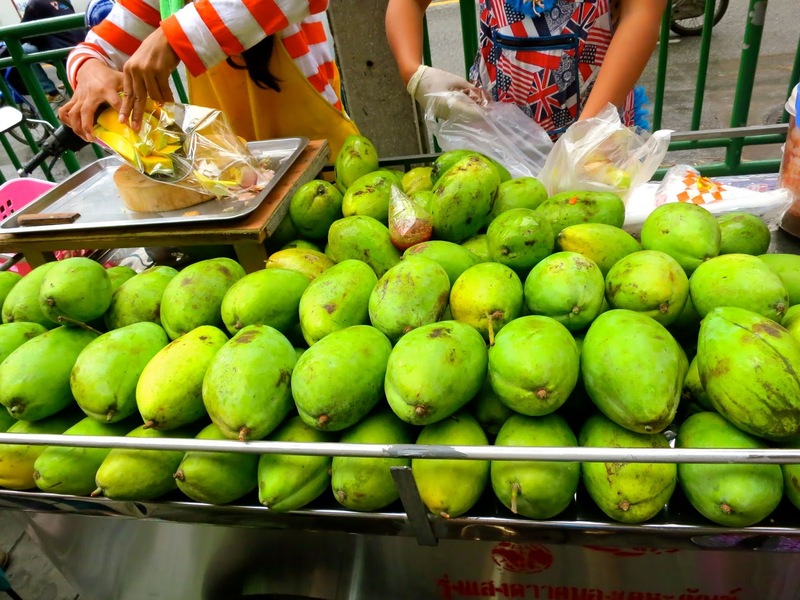 At first, it was a mystery to us on what the incredibly perfect green fruits were. 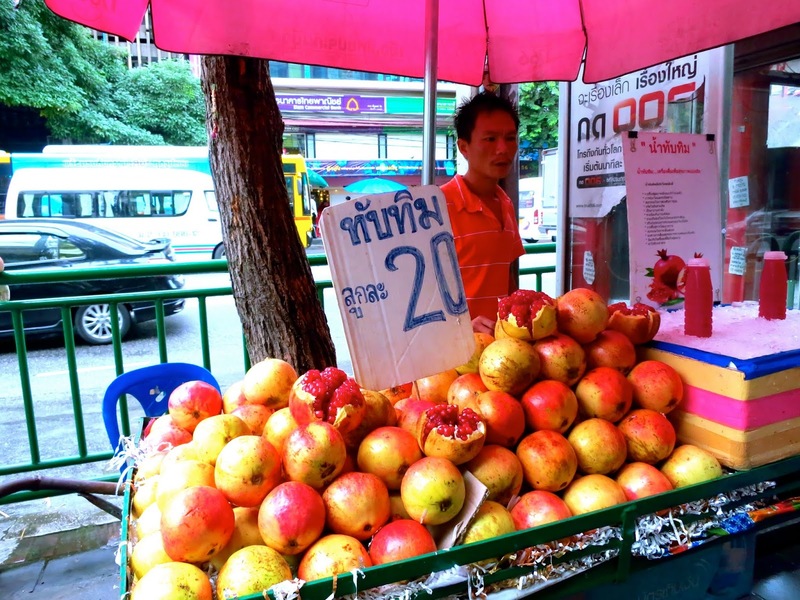 But they were only guavas, peeled and dyed with green. We have no idea why. 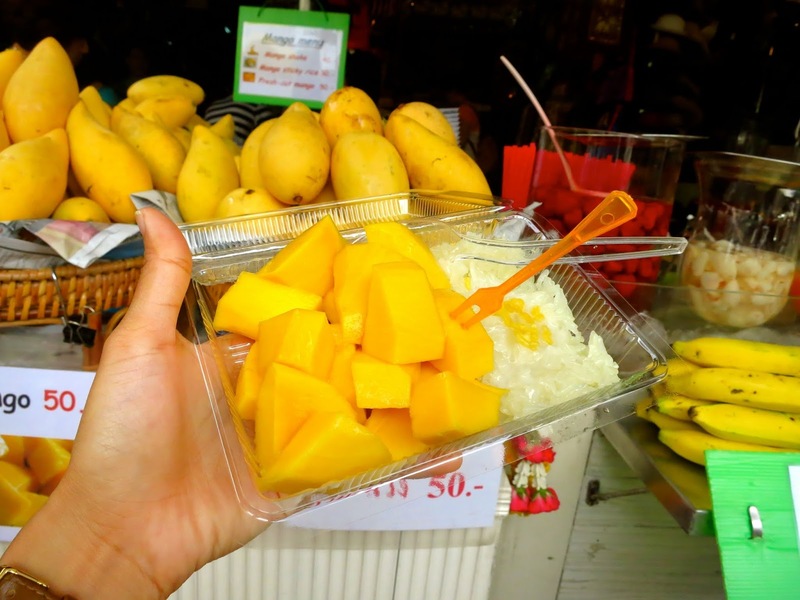 Slices of mango and sticky rice. 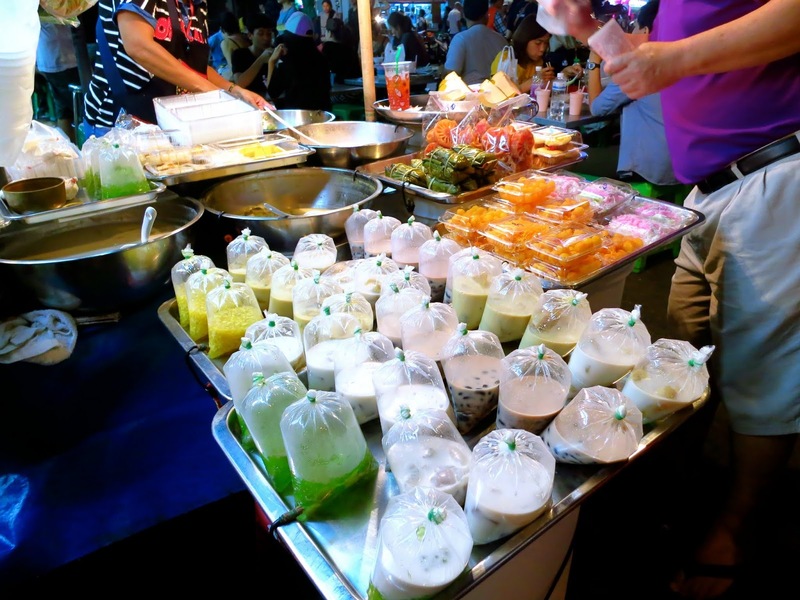 More dessert options in Khao San Road. Much cheaper Pad Thai in Khao San Road as compared to the one in the floating market. 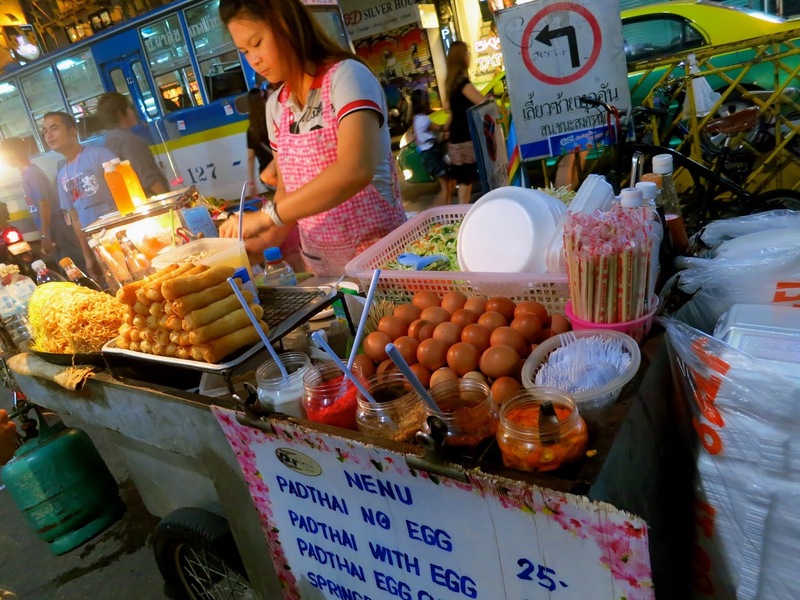 You can never be hungry in Bangkok. I kid you not. Just a typical scene in Khao San Road. Khao San Road is downright very touristy. Like very. Kate's husband even quipped if we were still in Bangkok or had we magically teleported to a Western country? 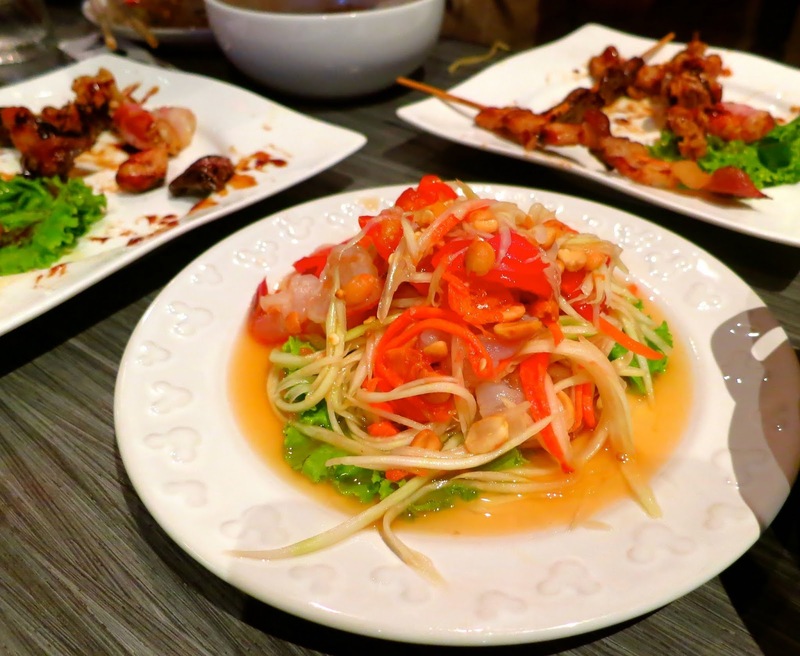 They have been based in Bangkok for over a year but it was their first time to visit Khao San Road. Prices here are steeper but it can't break the bank. The upside of it being touristy, is that you are never at a loss of options. 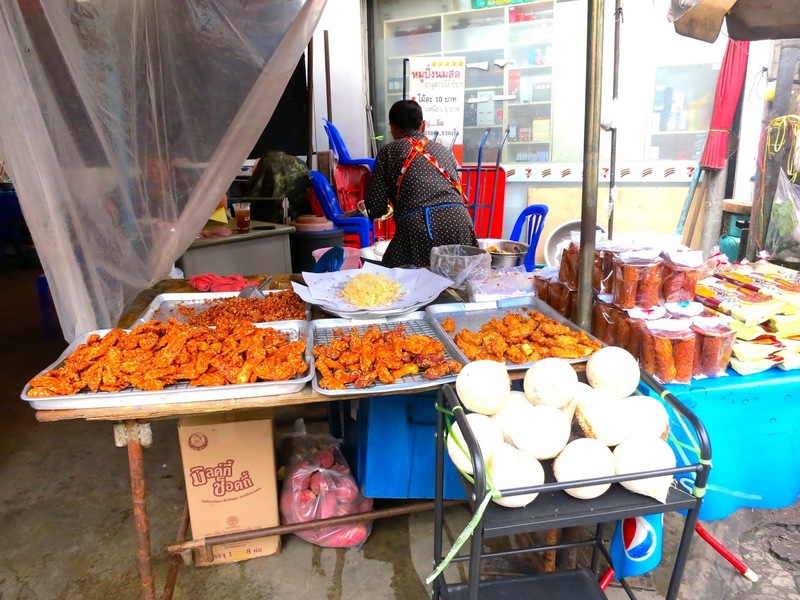 Not to mention, the sensory delight of just witnessing the plethora of food carts, gathered along the street and the easily accessible tables set up for the hungry. 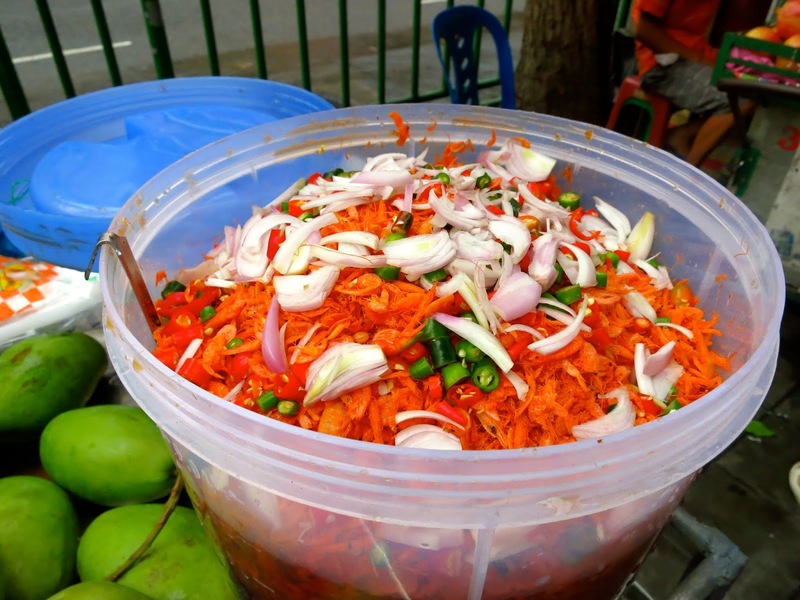 If you are not squeamish, the street food is a must try. If you are, it's your big loss but kidding aside, your eyes can equally feast on the overabundance of street food choices. This we actually did, after our stomachs were filled to almost in esophagus level (ewwww... Goodness how terrible can I get at this?) at a Japanese Thai fusion restaurant. 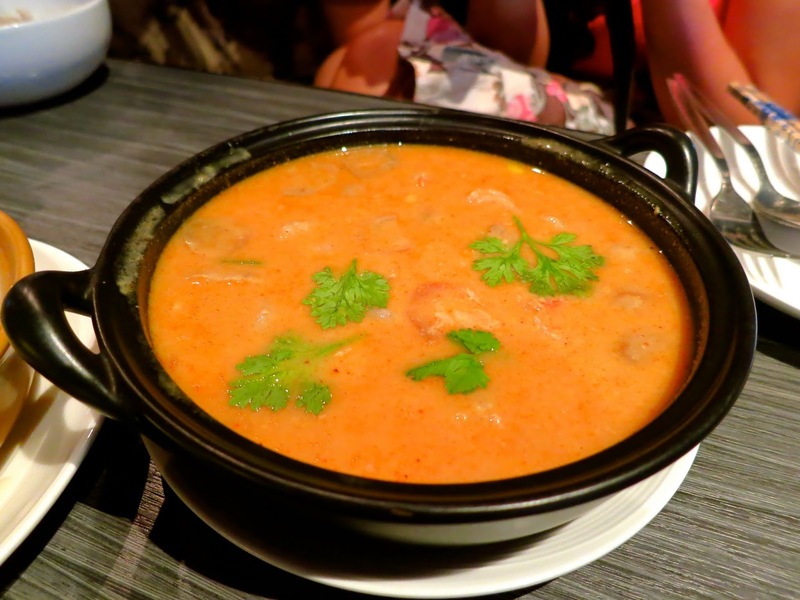 Our tom yam soup in that Japanese restaurant in Khao San Road. My memory fails me on what soup was this. 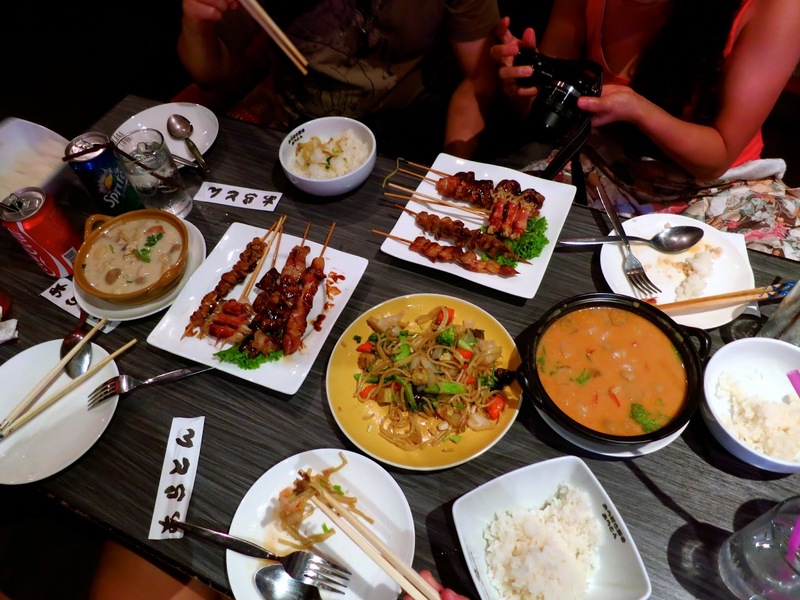 Our Japanese/Thai food feast that appeased our hunger. 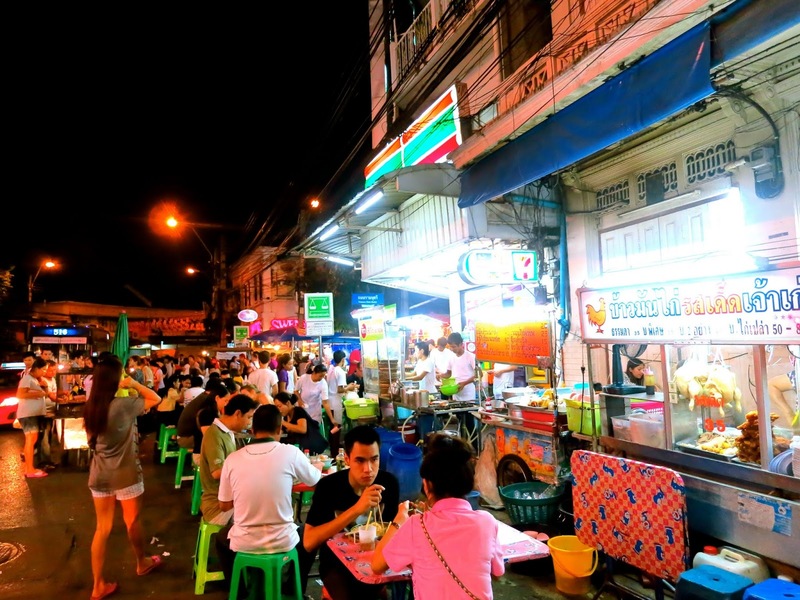 あらとん (Araton) restaurant is located in the midst of Khao San Road. By the way, thank goodness for the restaurant's name on their chopsticks wrapper. I was I think in a dreamlike state that time that remembering details such as a restaurant's name is somewhat frivolous when my senses were pretty much overwhelmed. 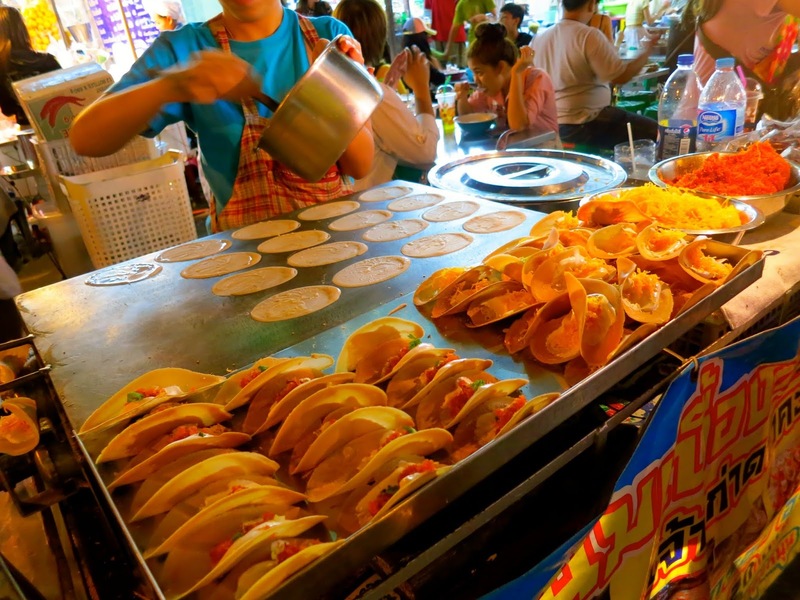 Before this post ends and I make you (and myself) hungry, here is again how the street food scene in Bangkok looks like. Just at a random street. 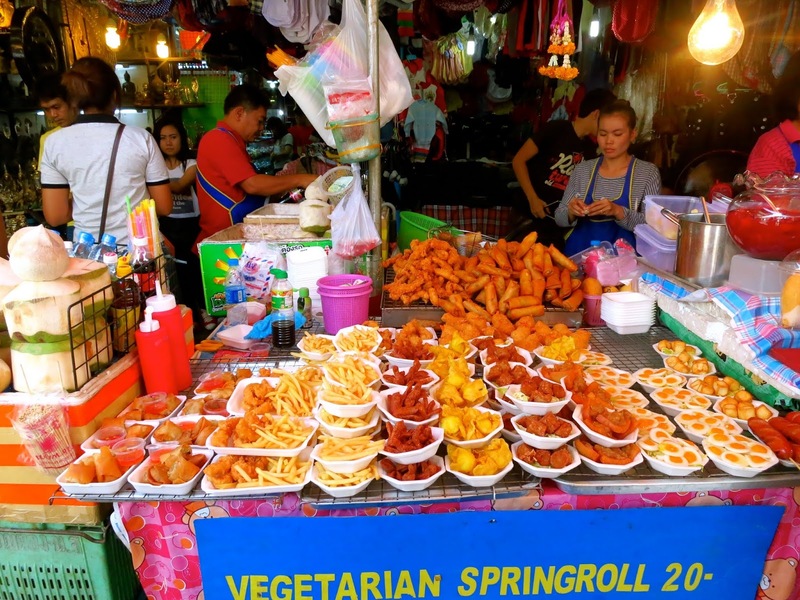 All the sinful fried things in Chatuchak Market.